Charge, sync and transfer data such as music and video. 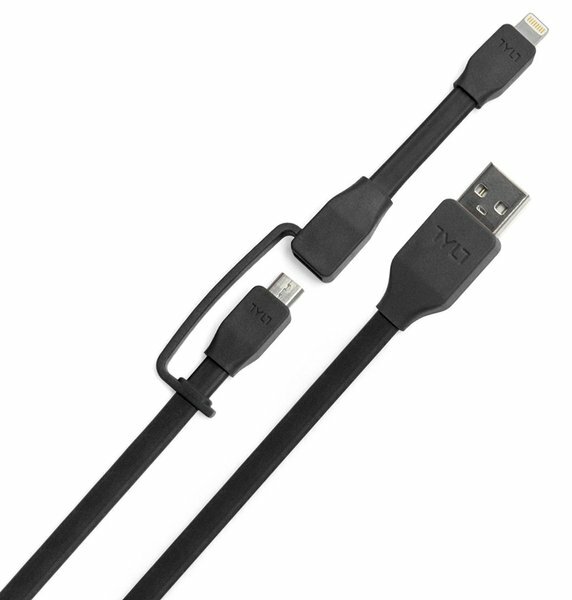 The TYLT SYNCABLE-DUO is a 2-in-1 cable solution for charging and syncing data to smartphones and tablets. Tired of carrying around several cables for your different devices? SYNCABLE-DUO comes equipped with both micro-USB and Apple Lightning connectors, so one cable is all you need for your Android or Apple Lightning devices. Simply select the connector and start charging or syncing. Available in four vibrant colors and lengths from 1 foot to 1 meter. Tangle-free flat cable with soft-touch finish. Apple MFI certified.